The first month of the year was a boom for the national housing market, which saw median home values rise 5.4 percent. However, Sacramento county has been a particularly strong market, and January was no exception, with a 7.4 percent increase in median home values across the greater Sacramento area. According to Zillow, the median value of a U.S. home in January was $178,500, but in Sacramento it was $333,400. While Sacramento has a much stronger median home value that the national average, it actually lags behind the rest of California. For example, the median home value in San Francisco was $705,900, up 7.3 percent year-over-year. As of end of January, Zillow is reporting a 9.1 percent year-over-year growth for the city itself, with continued gain of 5.7 percent through the next year. With a stable overall market to support it, this could continue the seller's market trend for the city and surrounding area. In addition to this trend, Realtor.com reports that inventories are declining across the country. Sacramento saw listings fall 9.7 percent between December and January, tightening the market. 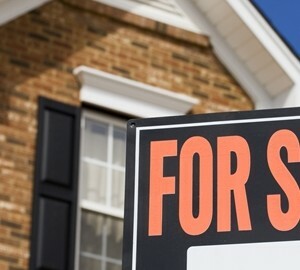 "January's inventory data suggest a continuation of the tightening trend we identified last month in the December data, and with a shortage of inventory typically comes increased home prices," said Jonathan Smoke, chief economist at Realtor.com. Between rising median home values and declining inventories, now is a great time to sell a home in Sacramento county. If you're thinking about placing your home on the Sacramento housing market, contact me, top real estate broker Jon Hesse. With more than $100 million in completed transactions and a decade working in the local market, I have the experience necessary to help you buy your dream home at the best possible price.